•Seals as devices of protection. •The crime of breaking the seal. •The seal and sacredness of the place. •The sacredness of the process of sealing. Beside the sacredness of seals, there are some texts confirmed the relationship between seals and the god Thoth, the relationship through which it can be suggested that as Thoth was the god of wisdom, magic, and writing , he also the god who was responsible for seals and sealing in ancient Egypt religion. والحقیقة أنة بالإضافة إلى قدسیة الأختام فهناک بعض النصوص التى توضح لنا العلاقة الوثیقة بینها وبین المعبود جحوتى، تلک العلاقة التى تجعلنا نفترض أنة إلى جانب دورالرئیسى للمعبود جحوتى کمعبود للحکمة، السحر، والکتابة، فقد کان ایضاً هو المعبود المسئول عن عملیة الختم والأختام فى العقیدة المصریة القدیمة. -A.B.Wiese, Die Anfänge der Ӓgyptischen Stempelsiegel-Amulete: eine Typologische und Religions Geschichtliche Untersuchung zu den "Knopfsiegein" und Verwandten Objekten der 6 bis Fruhen 12.Dynastie (Gottingen, 1996). -A. Dodson & D.Hilton, The Complete Royal Families of Ancient Egypt (Cairo, 2005). -A. F.Gorton. Egyptian and Egyptianizing Scarabs, A typology of steatite, faience and paste scarabs from Punic and other Mediterranean sites (Oxford, 1996). -A.K. Ritner, The Stela of Piye, in the Literature of Ancient Egypt. Anthology of Stories Instruction, Stela, Autobiographies and Poetry, ed.W. K. Simpson (Yale, 2003). -A. R. David& A. E. David, A biographical Dictionary of Ancient Egypt (Oxford, 1992). -A. Rowe, Catalogue of Egyptian Scarabs, Scaraboids , Seals and Amulets in the Palestine Archaeological Museum (1936). -A. Sparavigna , Ancient Egyptian Seals and Scarabs (Torino,Italy,2009). -A.Von Den Driesch& D. Kessler &J.Peters,‘Mummified Baboons and Other Primates from the Saitic-Ptolemaic Animal Necropolis of Tuna el-Gebel, Middle Egypt’, in: Documenta Archaeobiologiae: Jahrbuch der Staatssammlung für Anthropologie und Paläoanatomie München 2 (2004). -B. J. Kemp, Ancient Egypt, Anatomy of Civilization (London, 1991). -B.Klausnitzer, Beetles, Exeter Books (New York.NY,1981). -C. Andrews, Amulets of Ancient Egypt. Austin :( University of Texas,1994). -Id., Ancient Egyptian Jewelry ( NewYork: Harry N. Abrams, 1991). C. Geertz, Thick Description: Toward an Interpretative Theory of Culture, in C. Geertz, The Interpretation of Cultures (New York, 1973). -D.Collon, First Impressions: Cylinder Seals in Ancient Near East (London, 1987). -D.C.J. Bleeker, Hathor and Thot, Two Keys Figures of the Ancient Egyptian Religion (Leiden, 1973). -D.C. Patch, Exhibtions, Magic in Miniature : Ancient Egyptian Scarabs, Seals & Amulets(Brooklyn,2013). -D.Kessler ,"Tuna el Gebel", LӒ VI (1986) . -Id., "Hermopolis", OEAE, II (2001). -Id., "Die Galerie C von Tuna el –Gebel", MDAIK 39(1983). -Id.,"Hermupolis Magna", LӒ II (1977). - Id. & M.A,Nur EL-Din, Tuna al-Gebel. Millions of Ibises and Other Animals, in: S. Ikram (ed. ), Divine Creatures: Animal Mummies in Ancient Egypt (Cairo, 2005). -D. Kurth, "Thot", LӒ VI (1986). -D. Rankine, Heka: The Practices of Ancient Egyptian Ritual and Magic) Avalonia, 2006). -D.T.M.Frankfurter, "The writing of Magic and the Magic of Writing "Helios21.2(1994). -D. Wengrow, The Archeology of Early Egypt ,Social Transformations in North-East Africa,10,000 to 2650 BC (Cambridge, 2006). -E.A.Evans, Sacred Scarab (McClung Museum, 2013). -El-Hussein O. Zaghloul, Frühdemotische Urkunden aus Hermopolis (BCPS II) (Cairo,1985). -F. Lexa, Papyrus Insinger(Paris, 1926). -F.M.D.Friedman, "Akh". In: OEAE, I (Oxford, 2001). -F.S.Matouk, Corpus du scarabee egyptien, Tome premier (Beyrouth, 1971). -G.C.Borioni, "Der Ka aus religionswissenschaftlicher Sicht", Veröffentlichungen der Institute für Afrikanistik und Ägyptologie der Universität (Wien, 2005). -G. Dreyer, Elephatine VIII;Der Temple Satet,Die Funde der Frühzeit und des Alten Reiches (Mainz,1986). -G. Fraser, A Catalog of the Scarabs belonging George Fraser(London, 1900). -G .Hart, Egyptian Myths (Austin, 1997). -G. Martin, Egyptian Administrative and Private-Name seals, Principally of the Middle Kingdom and Second Intermediate Period (Oxford, 1971). -G. Pinch, Magic in Ancient Egypt (London, 1994). -H. De. Meulenaere,"Egypte Pharaonique, Trois Empreintes de Sceaux", CdE 39 (1964). -H .Gauthier, Dictionnaire des les Noms Geographique Contenus dans les Textes Hieroglyphiques,I (Le Caire,1924). -H. Mesiha & M. El-Hitta, Mallawi Antiquity Museum. A Brief description (Cairo, 1979). -H.R.Hall, Catalogue of Egyptian Scarabs, etc., in the British Museum (London,1913). -J. A. Hill,Cylinder Seal Glyptic in Predynastic Egypt and Neighboring Regions (BAR. International Series 1223), ( Oxford, 2004). -J. Assmann, The Search for God in Ancient Egypt (Comell University Press, 2001). -J. Baines& J. Malek, Atlas of Ancient Egypt (New York, 1985). -J. C. Goyon, Le Papyrus d’Imoathés, Fils de Psintaês au Metropolitan Museum of Art de New York (Papyrus MMA 35.9.21),( New York,1999). -J. Černy, "Thoth as a Creator of Language", J.E.A 34(1948). -J. F. Borghouts, "Divine Intervention in Ancient Egypt and Its Manifestation (b3w)". In Gleanings from Deir el-Medîna, edited by Robert Johannes Demarée and Jacobus Johannes Janssen. Egyptologische Uitgaven 1 (Leiden: Nederlands Instituut voor het Nabije Oosten ,(1982). -J.H.Breasted, Ancient Records of Egypt, IV (Chicago, 1906). -J. L. Foster, Ancient Egyptian Literature (University of Texas Press, 2001). -J. Parlebas, L’origine Égyptienne de L’appellation "Hermés Trismegiste", GM 13 (1974). -J. P. Allen, Oxford Guide: The Essential Guide to Egyptian Mythology (Berkley, 2003). -Id., "Ba", in: OEAE, I (Oxford, 2001). - J. Quaegebeur, "Thot-Hermes, le dieu le plus grand!" Hommages à Francois Daumas, (Montpellier,1986). -J. Ray, The archive of Hor (London, 1976). -J. Sarr, Highlights of the Gayer-Anderson Scarab Collection (Portland, 2001). -J.Wegner, The Mortuary Temple of Senwosret III at Abydos (New Haven: Peabody Museum of Natural History of Yale University, 2007). - K. Sethe , Amun und die Acht Urgötter von Hermopolis (Berlin, 1929). -K. Szpakowska, Daily Life in Ancient Egypt: Recreating Lahun (Oxford, 2008). -K. T. Zauzich, in: M. Lichthiem, Wisdom Literature in International Context (London, 1983). -L. D. Morenz, Bild-Buchstaben und symbolische Zeichen. Die Herausbildung der Schrift in der hohen Kultur Altägyptens (OBO 205. (Göttingen, Germany: Academic Press, Vandenhoeck & Ruprecht, (2004). -L. Meskell, Private Life in New Kingdom Egypt (Princeton, NJ: Princeton University Press, 2002). -L.Spence, Myths and Legends of Ancient Egypt (London, 1915). -L.Troy, Pattems of Queenship in Ancient Egyptian myth and History, (Uppsala, 1986). -L.V. Žabkar, "A Study of the Ba Concept In Ancient Egyptian Texts", Studies in Ancient Oriental Civilization 34(University of Chicago Press,1968). - Maria-Theresia Derchain-Urtel, "Thot à Akhmim" Hommages à Francois Daumas (Montpellier, 1986). Id., Thot à travers ses épithètes dans les scènes d'offrandes des temples d'époque gréco-romaine (Rites Égyptiens, 3)( Bruxelles ,1981). -M. Baud, Famille royale et pouvoirsous l'Ancien Égyptien, BdE 126 (1999). -M. Beyer & M. Keams , Ancient Egypt (London,1946). -M. Depauw, The Demotic Letter. A study of Epistolographic Scribal Traditions against their Intra-and Intercultural Background (Demotische Studien14) (Sommerausen, 2006). -M. Ezzamel ,Order and Accounting as a Performative Ritual: Eviedence from Ancient Egypt, Accounting Organisations and Society,vol. 34 (Cardiff University, 2009). -M. J. Raven, Egyptian Magic the Quest for Thoth’Book of Secrets(The American University in Cairo Press,2012). -M. Lichtheim, Ancient Egyptian Literature, Vol III ( London ,1980 ). -M.Ohshiro ," Decoding the Wooden Label of King Djer", GM 221 (2009). -M. R. Bunson, Encyclopedia of Ancient Egypt (New York, 2002). -M.V. De Mieroop, A History of Ancient Egypt (New York, 2011). -M. Verner, Temples of the World: Sanctuaries, Cult, and Mysteries of Ancient Egypt (The American University in Cairo Press, 2013). -N.Grimal, La Stéle Tromphale de Piankhy (Le Caire, 1982). -O.Perdu,"La Chefferie de Sébehnytos de Piankhyà Psammétique 1er", RdE55(2004). -O.Berlev ,"Contemporary of King Sewa H – EN – RE" , JEA 60 (1974). -P. E. Newberry, Egyptian Scarabs (London, 2002). -Id., The Timins Collection of Ancient Egyptian Scarabs and Cylinder Seals (London, 1907). -Id., Scarabs: An Introduction to the Study of Egyptian Seals and Signet Rings (London, 1906). -Id., Ancient Egyptian scarab (London, 1905). -R. G. Johnson& D. D. Martinez &A, R. E. Garcia, Were Ancient Seals Secure? (Cambridge, 2001). -P. T. Nicholson & I. Shaw, Ancient Egyptian Materials and Technology (Cambridge, 2000). -P. Uphill," Brief Communications" , JEA 61 (1975), p.250. - R. B.Gozzoli, Piye Imitates Tutmose III: Trends in a Nubian Historiographical Text of the Early Phase, in: Egyptology at the Dawn of the Twenty-First Century, vol. 3 (Cairo, 2003). -Id., The Writing of History in Ancient Egypt during the First Millennium BC (ca 1070-180 BC),Trends and Perspectives (London,2006). -R. K. Ritner, "Hermes Pentamegistos", GM 49 (1981). -Id., "Additional Notes to Hermes Pentamegistos", GM 50 (1981). -R.O. Faulkner,The Ancient Egyptian Book of the Dead (London, 1989). -Id., The Ancient Egyptian Coffin Texts (Warminster, 1973-1978). -S. B. Smubert, " Seals and Sealing ", OEAE, III (Oxford,2001). -S. Gabra, Chez les derniers adorateurs du Trismegiste, La necropole d’Hermopolis. Touna el-Gebel Souvenir d’un Archéologue (Cairo, 1971). -S. I. Jobnston, "Magic" in: Religious of the Ancient World, ed. S. I. Jobnston (The Belknap Press of Harvard University Press, 2004). -S. Ikram, Ancient Egypt (Cairo, 2009). -S. Morenz , Egyptian Religion (London,1973). -S. Quirke, Exploring Religion in Ancient Egypt (Wiley-Blackwell, 2014). 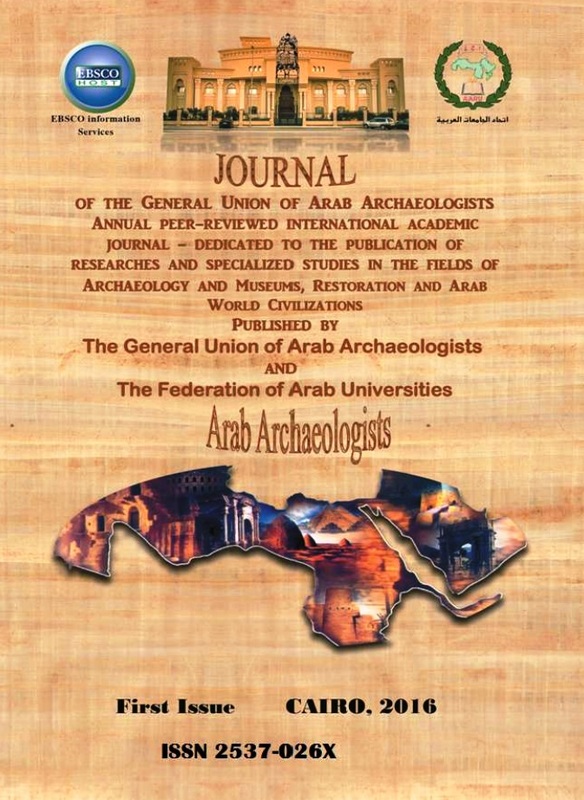 -Id.Titles and Bureaux of Egypt 1850-1700 BC, Egyptology 1 ( 2004). -Id., "The Regular Titles of the Late Middle Kingdom", RdE 37(1986). -S. Robard, "The Heart Scarab of the Ancient Egyptians," in: American Heart Journal (1953). -T. Eide and others, Fontes Historiae Nubiorum (Textual Sources for the History of the Middle Nile Region between the Eighth Century BC and the Sixth Century AD vol. 1, From the Eighth to the Mid Fifth Century BC (University of Bergen,1994). -T. G. Wilfong, Scarabs, Scaraboids, Seals, and seals Impression from Medinet Habu,(Chicago, 2003). -U.Dubiel,Amulette,Siegel und Perlen:Studien zu Typologie und Tragesitte im Alten und MittlerenReich(Gottingen,2008). -U. Hartung,"Prädynastische Siegelabrollungen aus dem Friedhof U in Abydos (Umm el-Qaab)"MDAIK 54 (1998). -U. Kaplony-Heckel, “Demotika in Mallawi”, in: GM 89 (1986). -W.A.Ward, "The Origin of Egyptian Design-Amulets (BUTTON SEALS)", JEA 56 (1970). -W.B. Emrey , Archaic Egypt, Culture and Civilization in Egypt, Five Thousand Years Ago (London, 1991). -W.Budge, Egyptian Magic (New York, 2010). - Id., Catalogue of Egyptian Scarabs, ETC., in the British Museum, vol I (Royal Scarabs) (London, 1913). -W. Grajetzki, "Die höchsten Beamten der ägptischen Zentralverwaltung Zur Zeit des Mittleren Reiches: prospographie, Titel und Titelreihen", Acht Schriften zur Ägyptologie 2 ( 2000). -W. M. F. Petrie, Buttons and Design Scarabs Illustrated by the Egyptian Collection in University College (London, 1925). -Id., Scarabs and cylinders with names: illustrated by the Egyptian collection in University College (London, 1917). - Id., Amulets, illustrated by the Egyptian Collection in University College (London, 1914). - Id., Historical Scarabs Chronologically Arranged: A series of drawings from the principal collections (London, 1889). -W. R. James, The Morphology and Syntax of Papyrus Insinger (Chicago, 1948).